Montalcino - Siena - Sant'Angelo hill overlooking the Orcia River facing South-South/West. Mild winter with few rainfalls. High temperatures in spring followed by a moderate summer season. Helpful rainfalls in August led to a regular harvest. Particular clones of Sangiovese, locally called “Brunello” coming from the Col d’Orcia selection. The choice of the harvest time was based on finding the perfect ripeness to produce a long-lived, structured wine. Manual harvest with rigorous selection of the best bunches, in the vineyard at first and then on the selection table in the cellar. Vintage 2007 yield: 50 q/ha. Fermentation at controlled temperature of 28°C. in stainless steel tanks of 50 and 60 hl. The different areas of the vineyard were kept separate. During the maceration, that lasted 20-25 days, daily pump-over and long “delestages” were carried out. Mallolactic fermentation took place in concrete. From there the wine went directly into barrels in the spring of 2008. 4 years in Slavonian and Allier oak barrels of 25 and 75 hl. followed by about 2 years of further aging in bottle in a temperature controlled environment. Elegant, intense and well balanced. 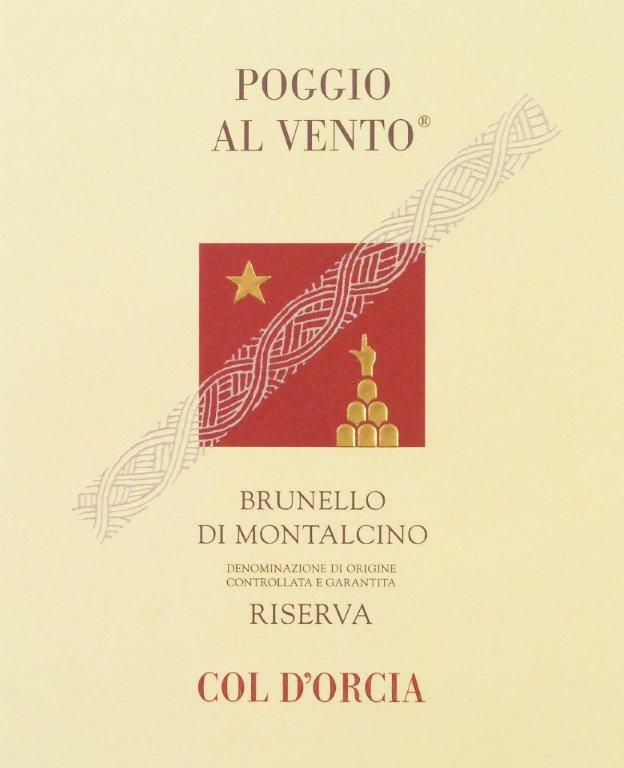 The typical aromas of the great Sangiovese are perfectly blended with the spicy oak hints. Excellent structure with soft and ripe tannins balanced with a pleasant acidity. Long spicy fruity aftertaste.